My best friend has a daughter that is in the second grade and the school is having a fundraiser this weekend. I made and donated two quilts for the fundraiser, and both quilts are cat themed. The first quilt is a child’s quilt and the second quilt is a doll quilt. It is always fun to work on a quilt for children, the colors are so bright and cheerful, and I enjoyed creating these two quilts. For you fabric aficionados that would like to know, most of the fabric is from the Laurel Burch line. Well, I managed to finish the quilt top I was working on yesterday, despite the technical difficulties I was having with my sewing machine. 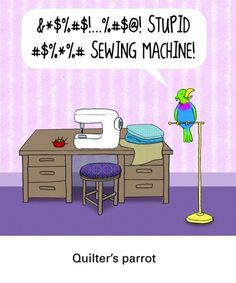 I really need a better sewing machine, but all the quilting and sewing I have done in the last 10 years has all been on a plain jane Singer sewing machine that only does straight stitch and zigzag. Just goes to show that bells and whistles are nice but not strictly necessary to get the job done and do the job well. Creativity does not have to be limited just because you don’t have a fancy sewing machine or an endless variety of art supplies or the latest craft equipment. Creativity is only limited by imagination and imagination is free. So work with what you have at the moment and you will be amazed at what you can accomplish. My sewing machine is acting up. I guess it’s a good thing that my bird doesn’t talk. I need never look up. Ah yes, that’s the question my husband always asks, and that’s the answer I always give him. I always have multiple projects going at the same time, all in different stages of completion. I have a wolf quilt that I am working on, a cat quilt for a 5-year-old, a lap quilt for my niece, an Elmo quilt for a toddler and a safari quilt under construction, and all of them are a work in progress. My preferred size of quilt to work on is a lap quilt size, but the size of a quilt can vary depending on the project. 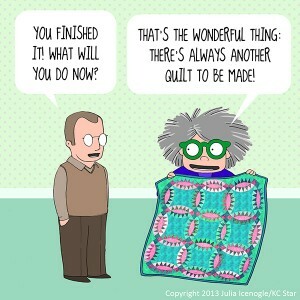 A quilter’s work is never done! 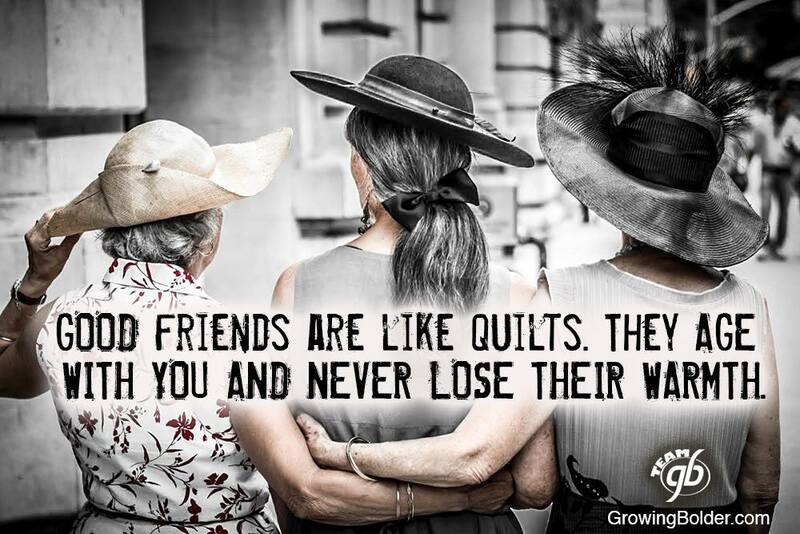 Feel free to share whatever project you are currently working on, quilting or otherwise. This is a quilt that I made as a gift for a dear friend of mine, I call it Lavender Serenity. The blocks that feature embroidery were taken from a hand-embroidered tablecloth that I found at an estate sale. I embellished the embroidery a little bit with fabric paints and then cut the tablecloth up to use in the quilt. Every fabric store is a reflection of the region surrounding it. The fabric that you find in a fabric store in Texas is going to be different than the fabric that you find in Maine or Oregon or Florida. In Texas you’re going to find more western and southwestern themes. In Florida you will find more beach and ocean themes. The local culture and geography is reflected in the offerings at a shop. And even the regional climate and weather plays a part in the type of fabric you will find at any given fabric shop. In short, you are not just buying fabric, you are taking home a sample and representation of the local region. All fabric shops may carry certain similar standard fabrics but mixed in with that are the wonderful offerings of fabric that you can not find in your own hometown and that make that particular region the unique place that it is. Sure, you may be able to buy fabric on the internet but the experience of physically visiting a place and enjoying its atmosphere and culture is what makes travel so wonderful. And the fact that we get to create things with the fabric we bring home brings pleasure long after the vacation is over.